Please refer to the header tabs for general information about our congregation, what we believe, how we worship, and our pastor. If you have questions about anything on our website, about Christianity, or anything else, don't hesitate to contact Pastor Uphoff. Below is an overview of our service bulletin and information on admittance to Communion. 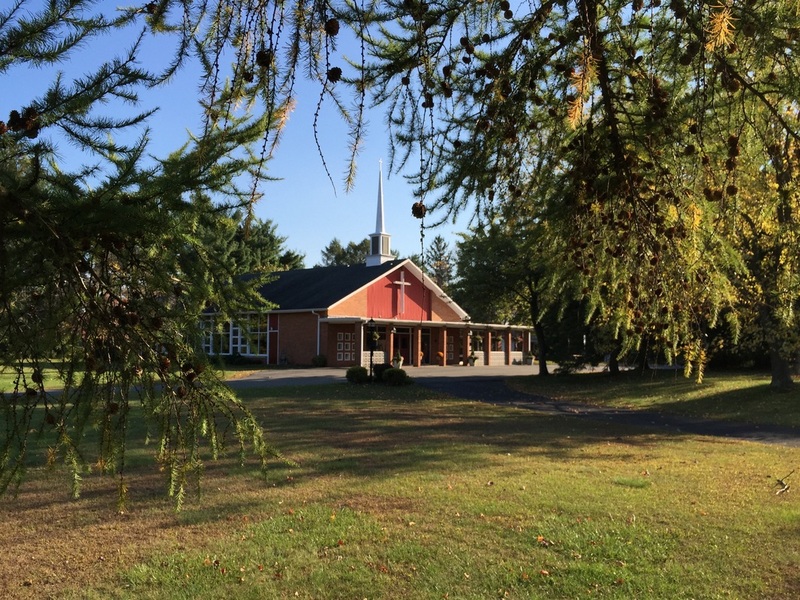 We worship using a set liturgy out of the hymnal, but we also have a bulletin to help us keep track of our place in the service. 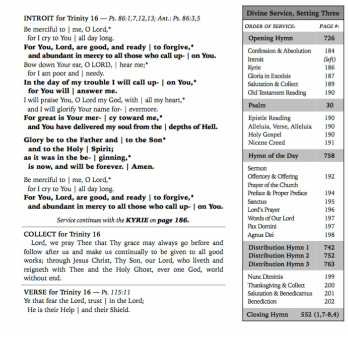 The outline of the service, corresponding page numbers, and hymns are provided in the box on the right side. When you visit us for worship, the ushers or members of the congregation would be glad to help you if you have any questions or need assistance following along. The Lord desires that his people live together in agreement and unity (John 17), that no false teaching be tolerated in the church (Titus 3; 2nd Commandment), and that all who have fellowship in his body should live in repentance (1 Corinthians 5 & 11). 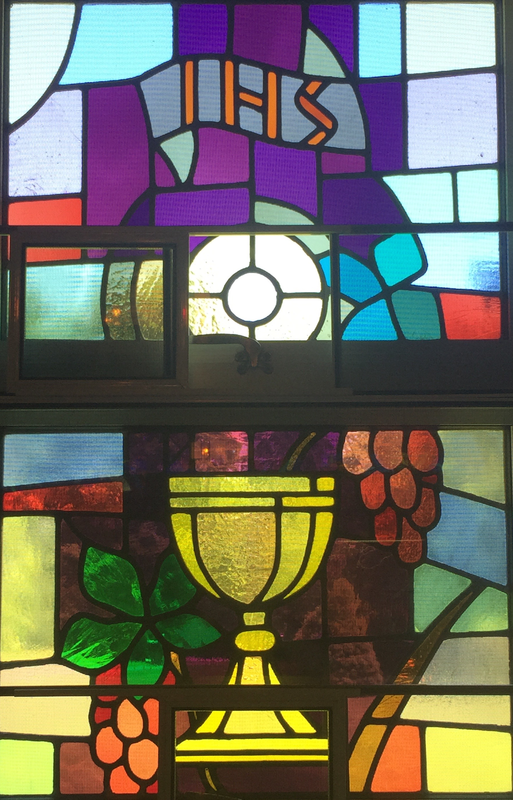 For these reasons, Good Shepherd follows the historic, Christian practice of closed Communion. This means that in order to take the Lord's Supper with us, a person must be a member of a congregation that we are in fellowship with. Non-Lutheran visitors are welcome to come up to the rail during distribution to receive a blessing from the Pastor. If you are not a Lutheran but are interested in joining, please contact Pastor Uphoff to speak about new member catechesis and confirmation.